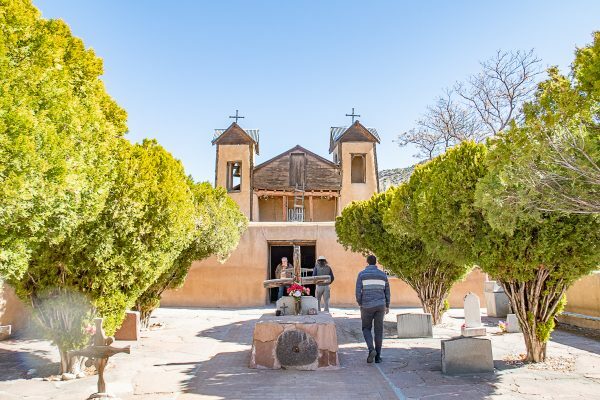 A Taos day trip is an ideal way to take in views of the mountains, explore historical sights, and maybe visit a pueblo. 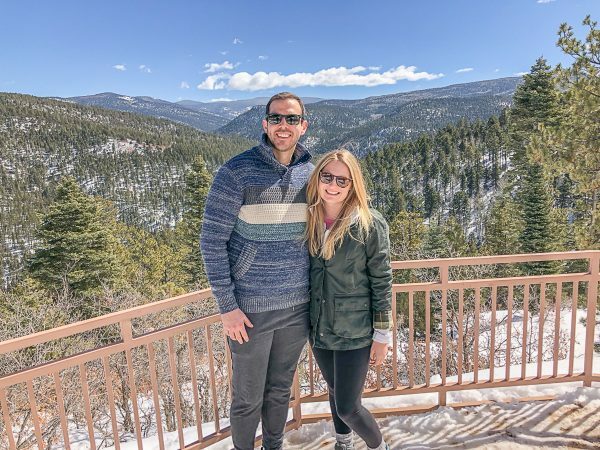 We booked a day trip with Santa Fe Mountain Adventure and got to spend a day visiting Taos and experiencing nature. 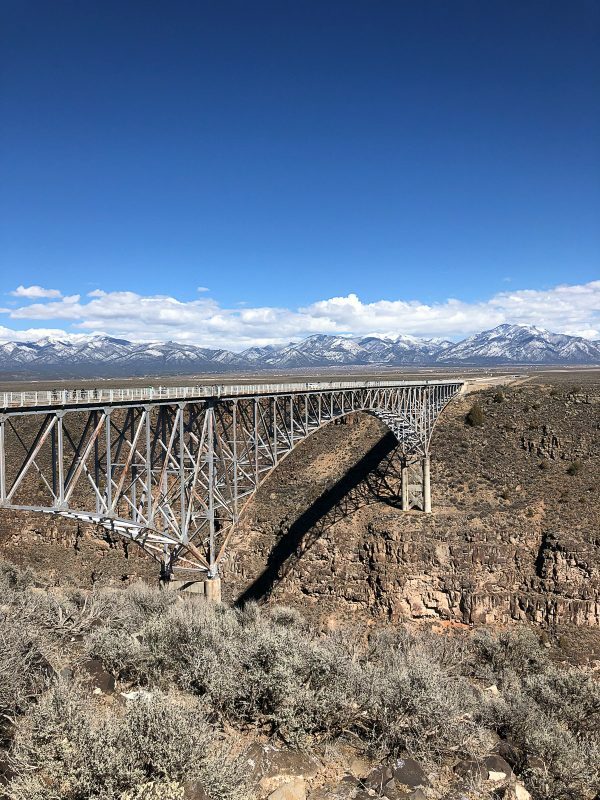 If you haven’t spent much time in the Southwest, the drive from Santa Fe to Taos will give you the opportunity to see different landscapes. You will see areas filled with massive rock formations, and you will drive up mountains and through valleys and plains. I am always surprised by how different the landscape can be in such a small area. Our tour was led by George, a co-owner of Santa Fe Mountain Adventures and we learned a ton. He has an excellent grasp on the history and culture of the area, and he told fascinating stories. He also assembled an itinerary that broke up the drive into small segments. 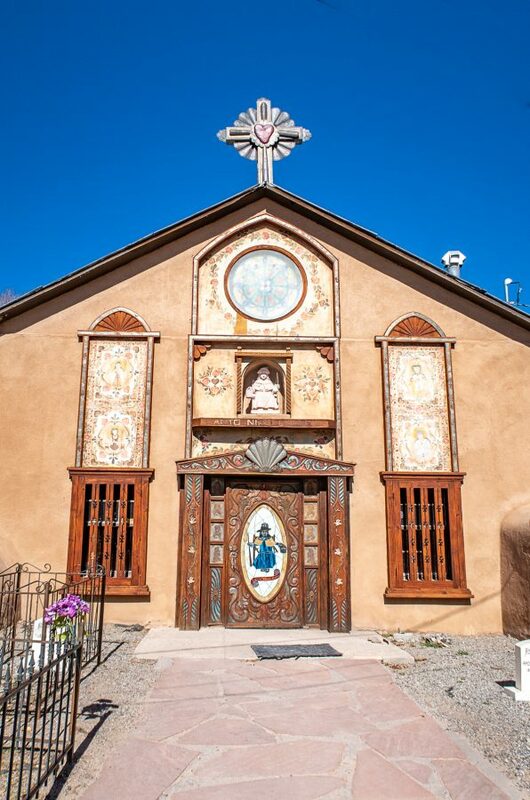 Chimayo is a small town famous for El Santuario De Chimayo, a church with dirt that has healing powers. Across the street from El Santuario De Chimayo there is a small shop owned by Alfredo Bacca. 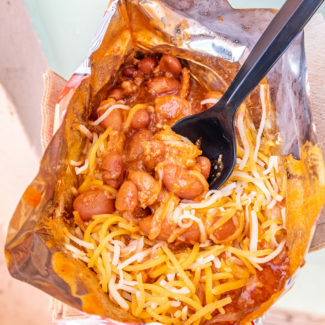 Let him take you through a tasting of chiles and then buy your favorite chile powders to bring home. Just around the corner you will find Santo Nino Chapel, the children’s chapel. I wasn’t allowed to take photos inside but it is a church unlike all the others I have visited – and trust me, when I studied art history in Italy I went to dozens of churches. The church is decorated with brightly colored paintings. This isn’t a serious church with images of Jesus on the cross. The artwork tells stories without the gloom and gore that some churches feature prominently. 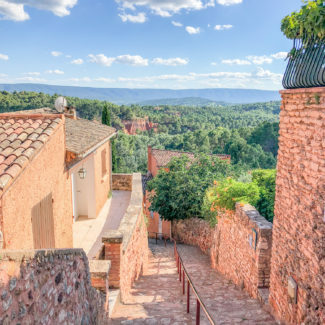 Make a stop at a viewpoint by the mountains and take in the view. Taos Pueblo is the biggest attraction in Taos, but it was closed when we were in New Mexico. The pueblo is open to visitors most of the year, but they close for a couple of weeks in March for ceremonies. 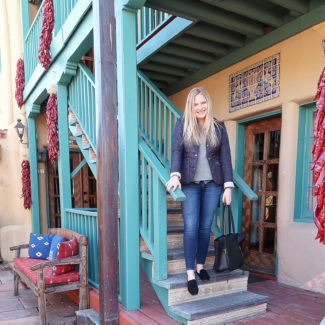 This is the place to eat in Taos. 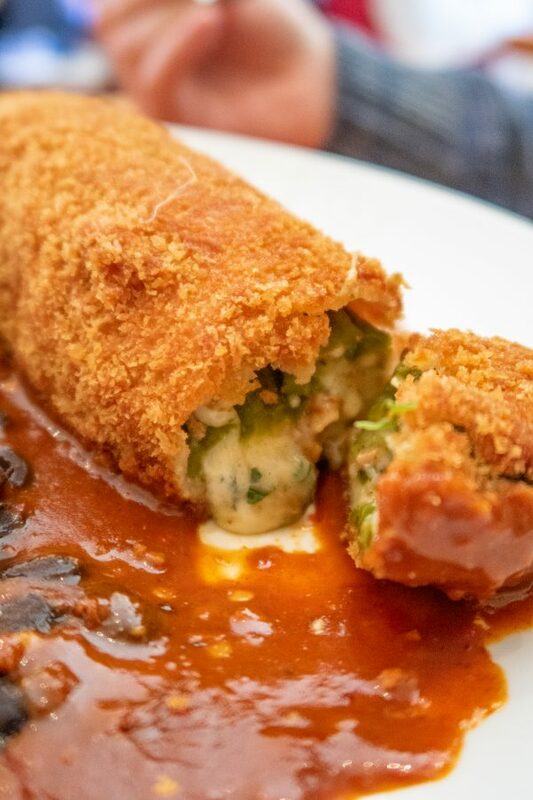 Charles loved the Chile Relleno which came breaded, deep fried, and filled with beans and cheese. I needed a little break from chile due to heartburn, so I had a chicken sandwich on house-made cheddar and green chile bread. 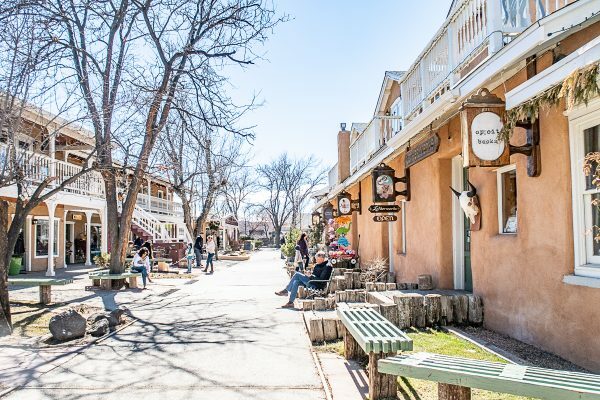 Like Santa Fe, there are dozens of shops and art galleries to see in Taos. This was the highlight of the day. 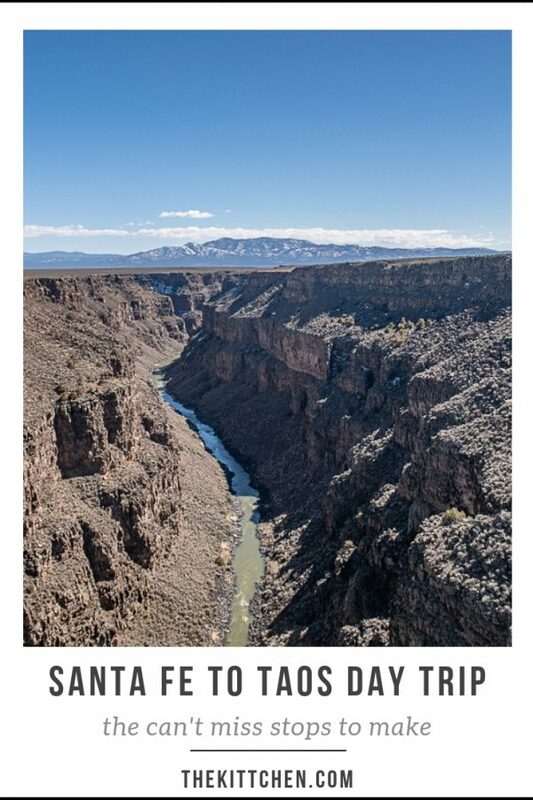 Somehow I had a vision of the Rio Grande in my head, and it wasn’t the least bit accurate. Near Taos the river runs through a gorge (quick definition since I only recently learned what a gorges is: it’s a narrow valley with steep walls and a stream or river running through it). 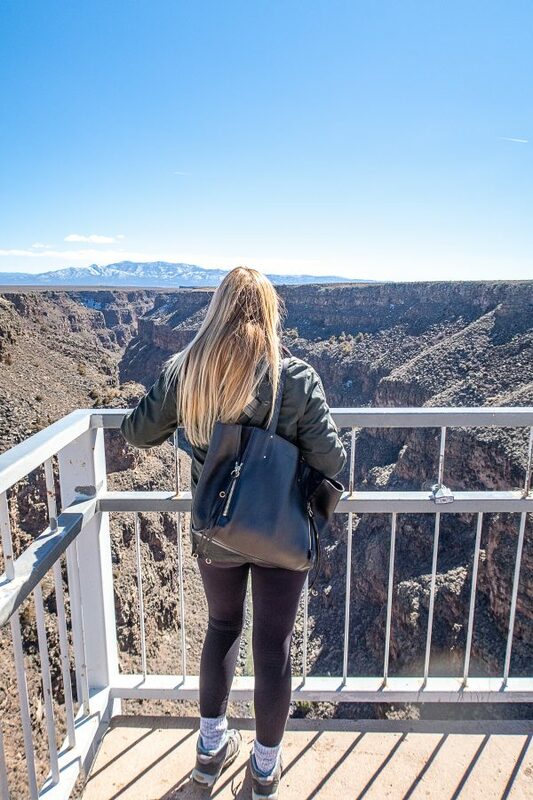 At one point, a couple million years ago, the gorge was 3 miles deep. Even today it is overwhelmingly deep. The views from the bridge are incredible. You see the deep rocky gorge with the river running through it, wide green plains, and snow capped mountains in the distance. You can’t help but think about what early settlers must have thought when they first saw this area. Even the bridge itself is beautiful, and there are viewpoints where you can see the bridge. 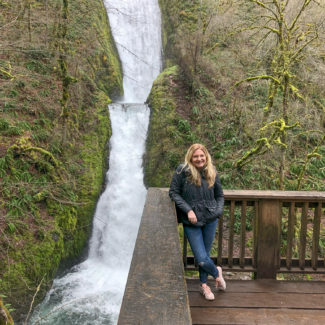 If you want to spend more time in the area there are trails for hiking and biking that run along the gorge. 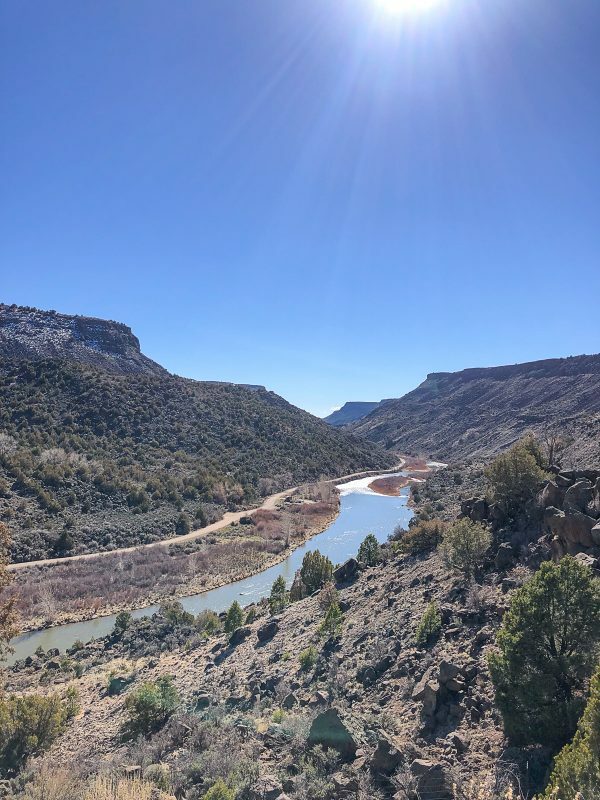 Then we took a road that took us down cliffs and alongside the Rio Grande to the areas where people go whitewater rafting. If the weather had been warmer and less muddy we might have gone mountain biking, but I loved just driving around being surrounded by this unique slice of nature. We booked a tour with Santa Fe Mountain Adventures which meant that we could relax and let George do all the driving. He also taught us so much about the history of the area. I definitely recommend the tour company. 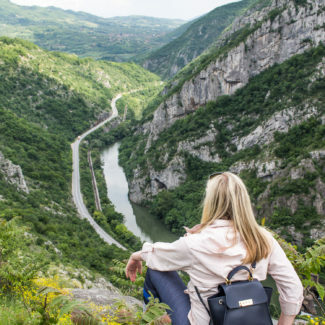 They also offer hiking and biking adventures. 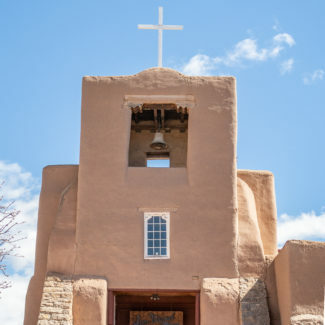 The drive from Taos to Santa Fe is about 90 minutes, but you will want to stop and explore along the way. 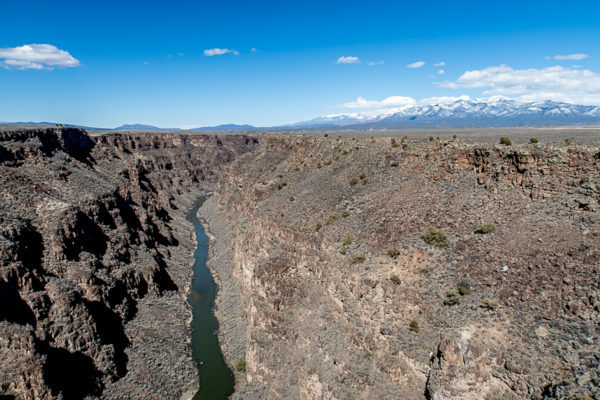 You will need four-wheel drive if you want to drive down the canyon and along the Rio Grande. 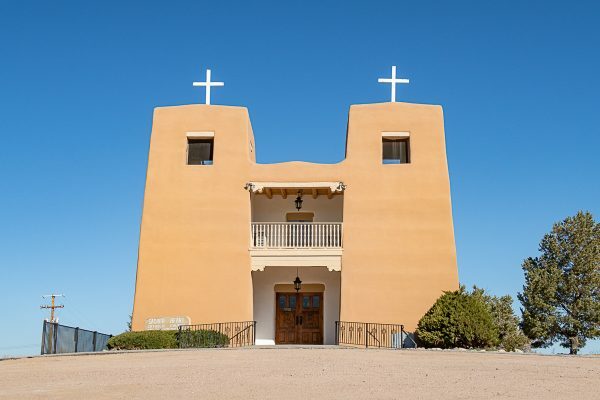 There is a high road and a low road from Santa Fe to Taos. There wasn’t a clear opinion as to whether it is best to take the roads in a specific direction. We took the high road there and the low road back. I think you can do it either way!